The ECG NTC Controller can protect temperature-sensitive materials from damage due to excessive heat. The device can be used to maximize the heating speed of these temperature-sensitive materials using the overall average temperature of the heater, as opposed to controlling temperature from a discreet measuring point. For instance, the thermal conductivity of a heated substrate is almost always relied upon to pass thermal energy to a sensor or thermostat. When the thermal conductivity is low, a delayed response is often experienced. This delay can result in overheating and catastrophic damage. However, the NTC Controller uses the heater itself as the temperature sensor, allowing faster heating and a safer overall product and process. What’s more, without sensors, the NTC Controller saves money, decreases the weight and reduces the size of your system. It also simplifies wiring, provides easy installation and eliminates the chance of controller damage due to high voltage feedback. 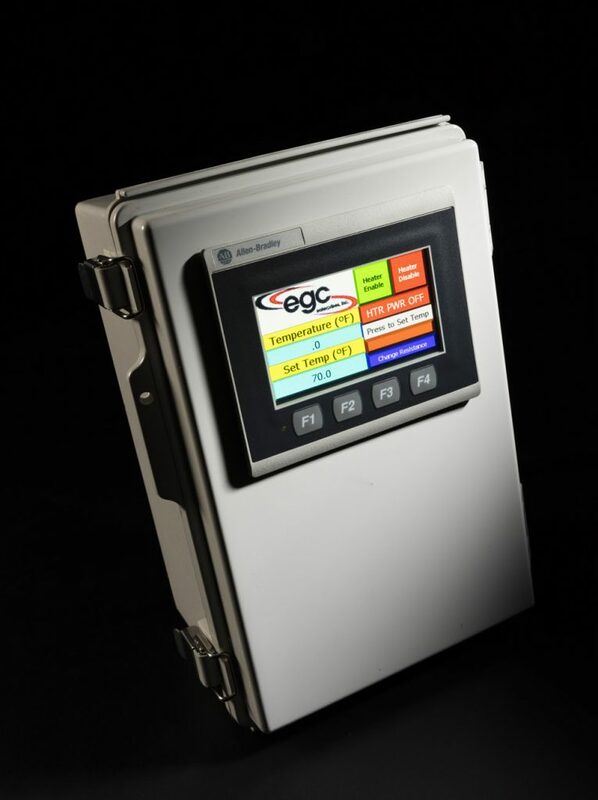 To see if the NTC Controller is the solution to your challenge, contact us at 440-285-5835 or egc@egc-ent.com.